Transport for London this morning denied Uber’s license renewal request, saying the company is “not fit and proper” to continue operating in the city. Uber responded that it would challenge the decision. The ridesharing company says it has 40,000 drivers and 3.5 million users in London, where its current license expires Sept. 30. Transport authority officials cited concerns about public safety, specifically the way the company reports criminal offenses, the way it gathers medical certificates, and concerns that its Greyball software can be used to block regulatory authorities from undertaking their own or law enforcement duties. The statement announcing the decision cited a “lack of corporate responsibility,” among other things. 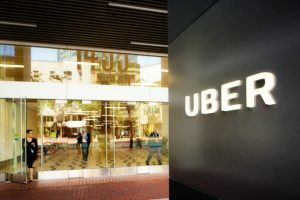 Uber denied the accusations and issued a statement saying the city has effectively denied consumer choice and threatened the livelihoods of its drivers, and that its software has never been used in the manner claimed by Transport for London. It has 21 days to file an appeal, which would allow its drivers to continue operating for now. No surprise really. Uber is known for disregarding even minimal levels of restrictions. But they will work out something to stay in operation.